NOTE: This revision of the Brianiac system for the FRS/BRZ/86 is currently under R&D only for vehicles that come equipped with automatic dual-zone climate control modules. We are still researching a way to provide a system for manual climate control vehicles. The FRS/BRZ/86 solution consists of three separate pieces of plastics which need to each be added to your shopping cart on Shapeways.com. 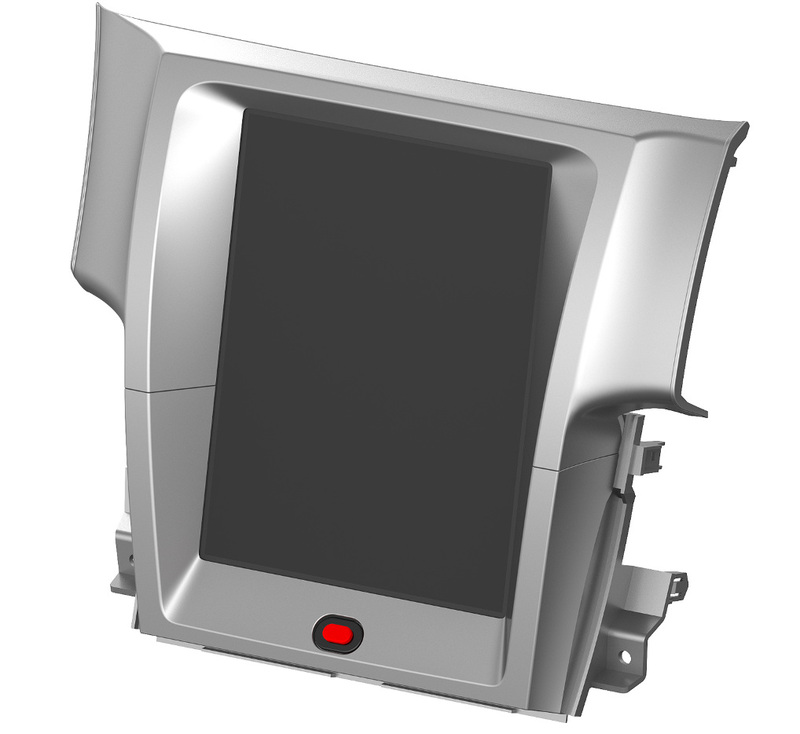 These three pieces create a "sandwich" like configuration to securely bolt and snap into your dashboard. The Brainiac custom fit plastics for the FRS/BRZ/86 are designed to securely hold a Samsung Galaxy Tab S2 9.7" tablet in your dashboard creating a sleek factory integrated look. 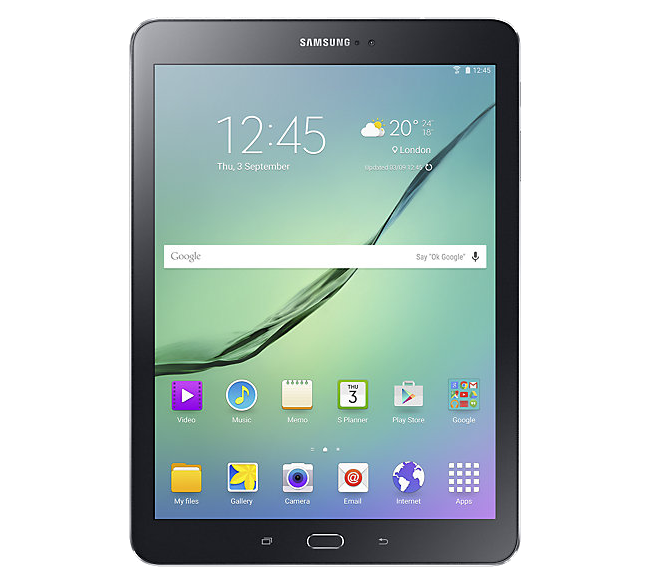 The starting point is to acquire one of these tablets if you do not already have one, which can typically be found at a reasonable price. 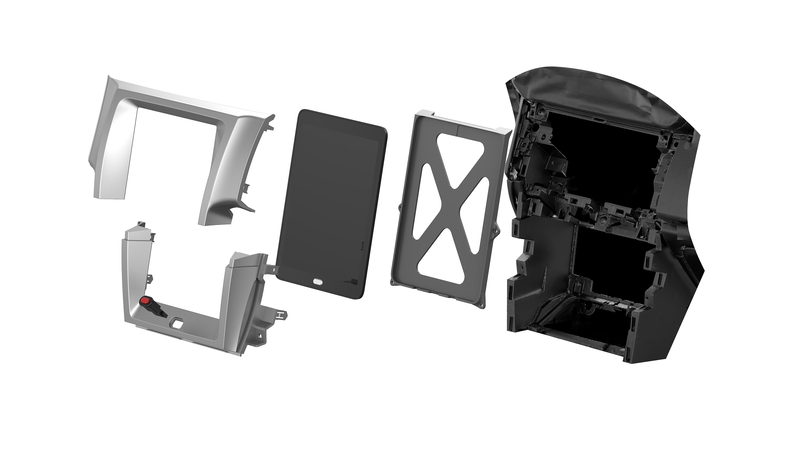 Layer the OEM pieces of your dashboard together with the Brainiac plastics for an incredible fit! We've pulled together a video to show the step-by-step process of installing the Brainiac plastics into your FRS/BRZ/86 which is similar to performing an aftermarket stereo installation. You can also find some generic aftermarket stereo information about the FRS/BRZ/86 on Crutchfield. Gerald Just Projects has been working on creating a climate control replacement module which can then be controlled by Workshop 12’s Brainiac Android home screen software. 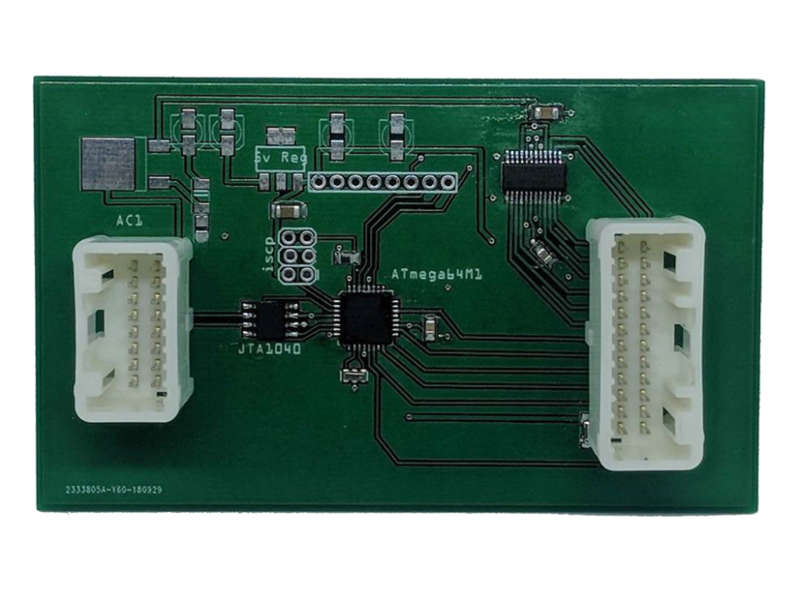 The integrated circuit will also provide an area for your OEM hazard/air bag connector to clip into. The climate control kit will include a new hazard switch which will snap into the Brainiac plastics.